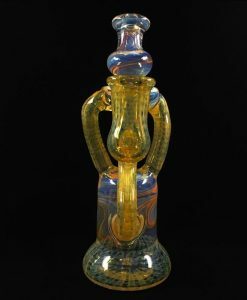 This Oil Rig features a custom Coconut Colada banger hanger design. 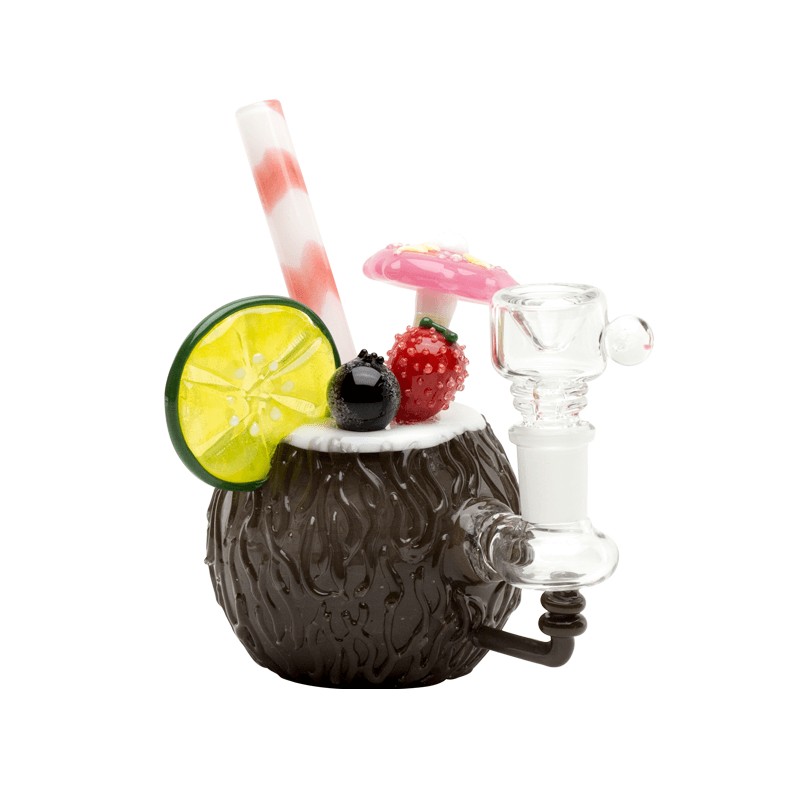 This Empire Glassworks Coconut Colada Mini Rig features a fully worked custom coconut colada design. 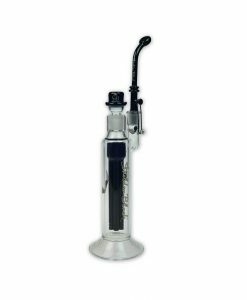 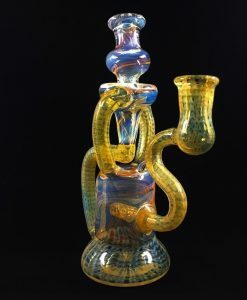 This rig has a reinforced female banger hanger design and a straw neck mouthpiece. 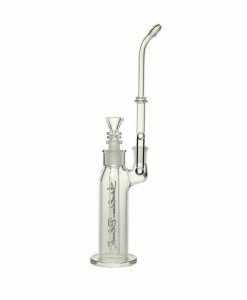 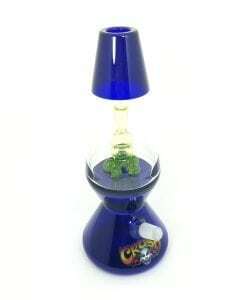 Comes complete with a clear 14M opal bowl slide.